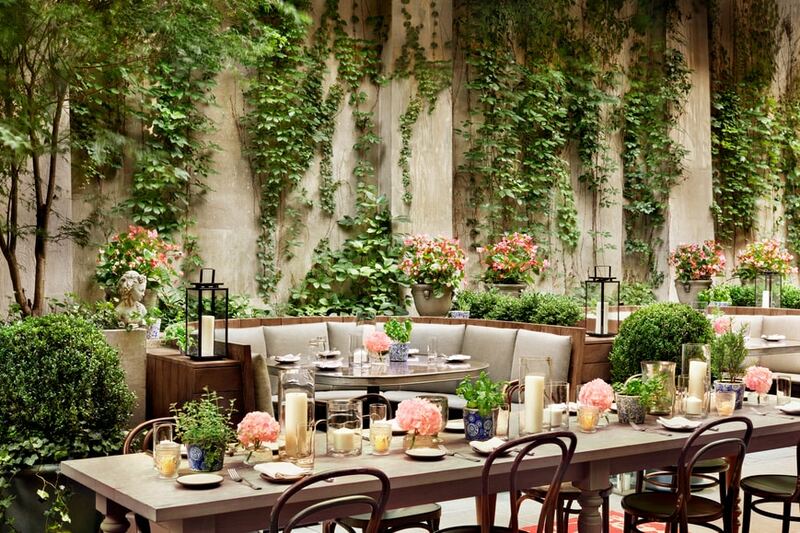 The casual, globally-inspired Jean-Georges restaurant in the PUBLIC Hotel is enough reason to venture to the trendy Lower East Side of New York, and the outdoor garden terrace, inspired by the Tuileries garden in Paris is open for its first ever season. Enjoy new large format seasonal cocktails, the perfect instagrammable ice cream cart and BBQ sandwiches grilled on the terrace by Executive Chef Thomas McKenna himself this summer. 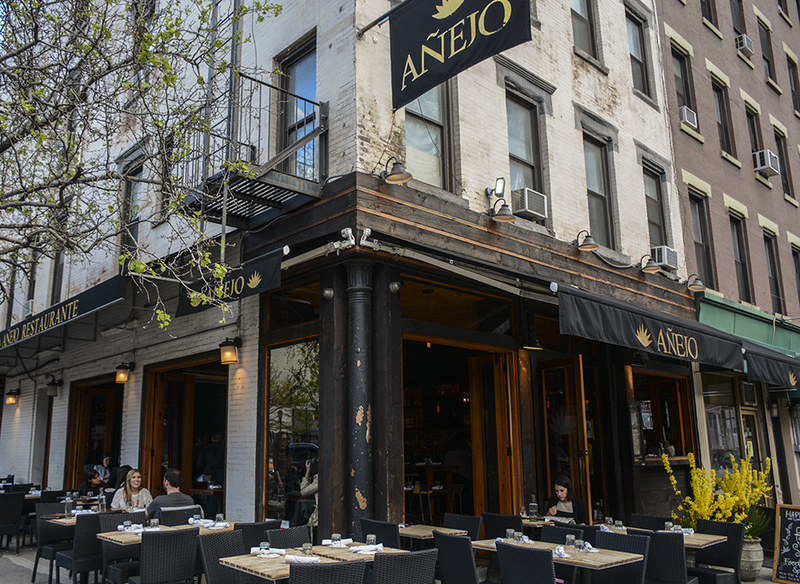 The 103 year old Australian-Italian cafe is a New York City staple for tourists and residents alike. 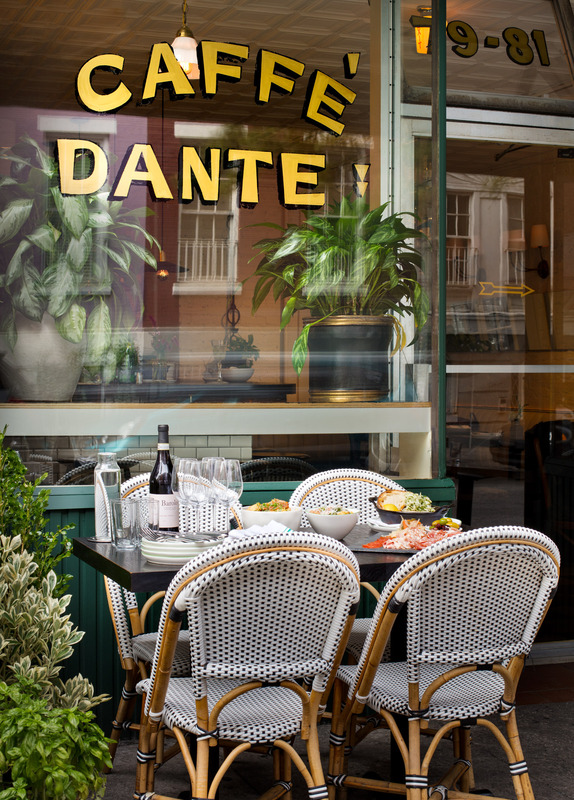 Named #9 on the World’s 50 Best Bars list, Dante will be greeting spring by serving up their iconic spritzes, handcrafted cocktails, countless Negronis and delicious bites on their picturesque MacDougal St. patio. A hub for those who like to be seen, this jetset international dining mecca is a who’s who of celebrity, socialites and trendsetters. 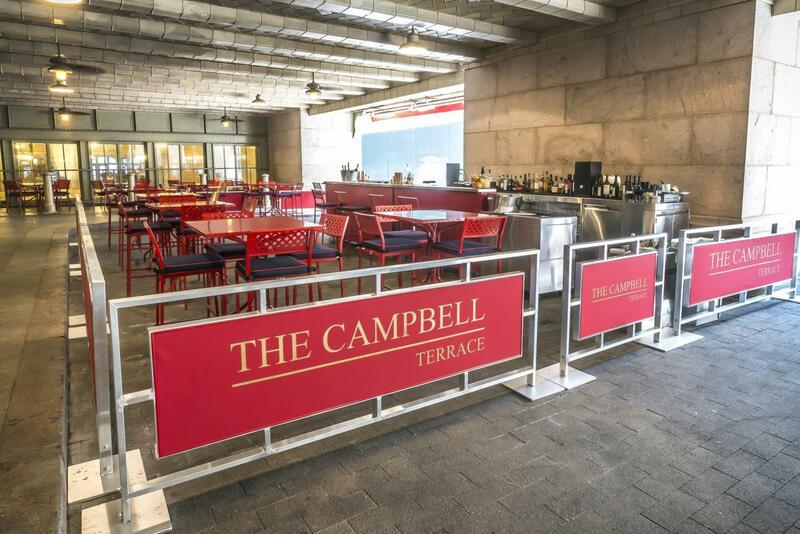 Snag one of the few patio tables and sip on classic bellinis, spritzes or classic cocktails while noshing on Italian specialities and people watching. 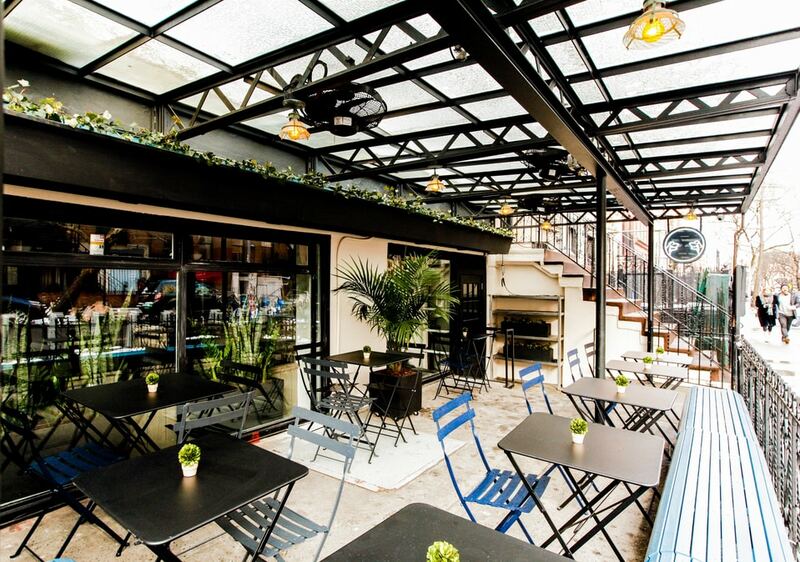 Who doesn’t love tacos, guac and margaritas al fresco? Añejo Tribeca’s resident Tequila Sommelier, Garret Dostal has created a fresh batch of tequila focused specialty cocktails in honor of spring’s arrival. Our favorite? The Blanco Margarita paired with guacamole trio and the decadent duck carnitas enchiladas. From the jungles of Tulum comes Gitano Jungle Room and Gitano Garden of Love (opening in May). 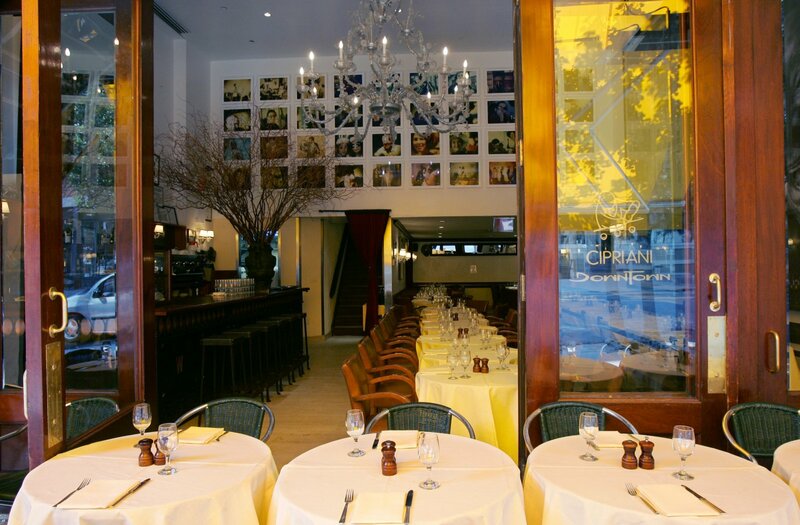 Gitano Jungle Room has found a permanent home at The James New York – SoHo in the old David Burke Kitchen space. This year-round tropical oasis serves up modern Mexican and Mayan cuisine and cocktails on the outdoor terraces, located adjacent to the Gitano Jungle Bar. 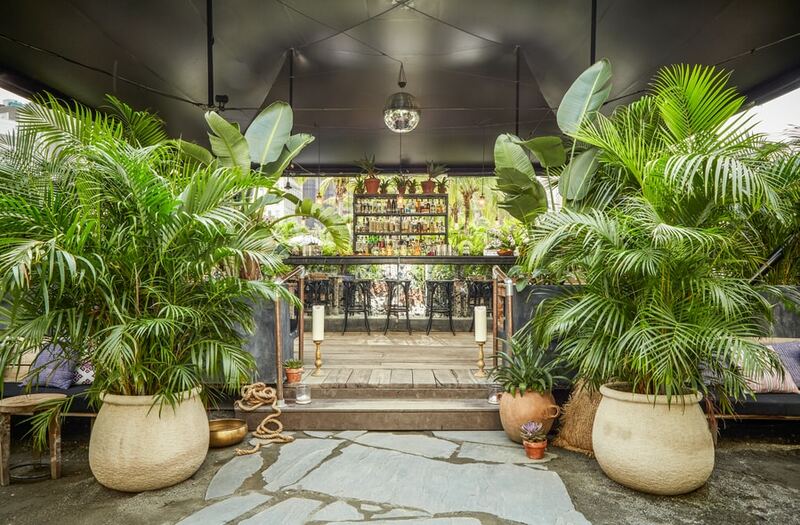 The Gitano Garden of Love will serve Mexican and Mayan inspired plates and cocktails in a tropical urban paradise with 30-ft. tall palm trees a reflecting pool, meditation labyrinth, urban farm, boutique, coffee shop, and more. Opened by the innovated group behind Drexler’s, Boulton & Watt, and Mister Paradise, Paper Daisy is the neighborhood bar you will frequent for their signature cocktails and Mediterranean inspired cuisine. Once the sun sets, stick around for their super late night menu. 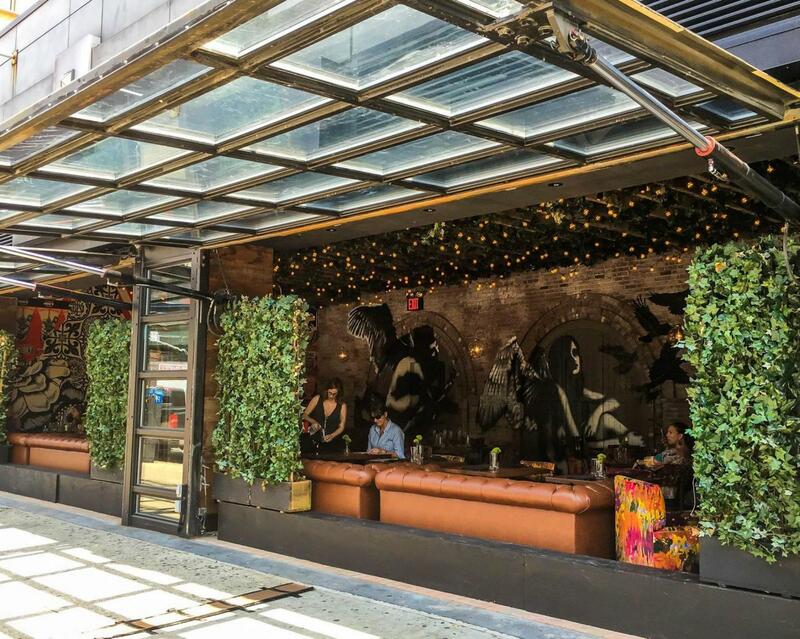 A favorite hotspot, VANDAL is the perfect spot for spring outdoor dining in their secret garden outfitted by gorgeous greenery, plush seating, vined ceilings galore. Sip on favorites such as The Taxi Line and the Rio De Frosé while nibbling on Fresh Fish Tacos, Tortilla Soup Dumplings, and the famous Old School Chicken Parm. Grand Central Terminal commuters will appreciate the outdoor covered veranda of the restored iconic New York Institution. Manned by Gerber Group, a selection of classic cocktails, wines and beer are available at the full bar, as well as light bites.